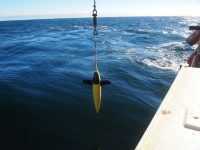 This blog post was originally drafted on November 30, but couldn’t be posted until now because the Antarctic fieldwork site lacked an internet connection. Learn more about the project here. McMurdo Station, located on Ross Island, is one of three US Antarctic research stations, and is the largest in Antarctica. It is capable of housing more than 1,200 support staff and scientists, although for the past few years the station population during the summer season has been closer to 850. 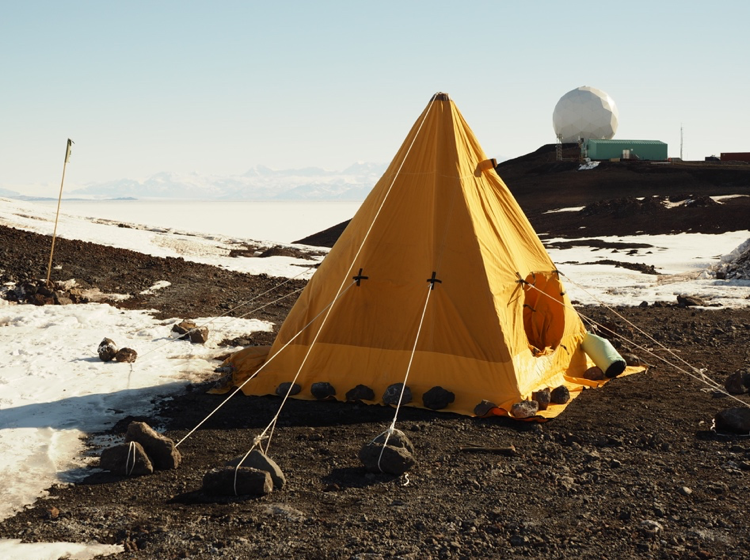 McMurdo will provide logistical support for our work, and serve as the jumping off point for our campsite in Beacon Valley, which is located about 50 minutes away by helicopter. 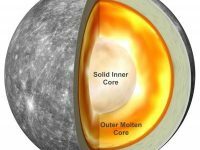 The beginning of the 2018-2019 Antarctic season and official opening of McMurdo Station for science projects was delayed for about 2 weeks due to an unfortunate stretch of bad weather in early October. This delay contributed to an expedited trip through Christchurch, New Zealand for our team. Normally the transit through Christchurch is a two-day process: we pick up our extreme cold weather clothing at the Clothing Distribution Center the day after arriving in New Zealand, and, weather permitting, board a flight for McMurdo the next morning. This year we had to pick up and try on our clothing, do security checks on our laptops, and then board our flight to Antarctica after lunch on the same day. Our time at the Clothing Distribution Center was a whirlwind, but due to a last-minute maintenance delay, we managed to find a few minutes to wander around the nearby International Antarctic Centre. Kate and I even had enough time to enjoy one last flat white coffee in Christchurch. 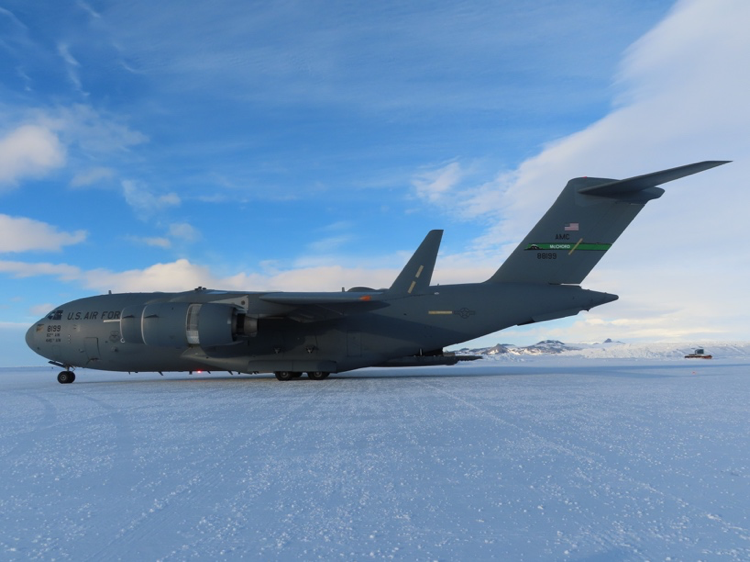 We boarded a C-17 Globemaster and took off around 6:00 p.m. local time, bound for McMurdo with a crew based out of McChord Air Force Base in Washington. 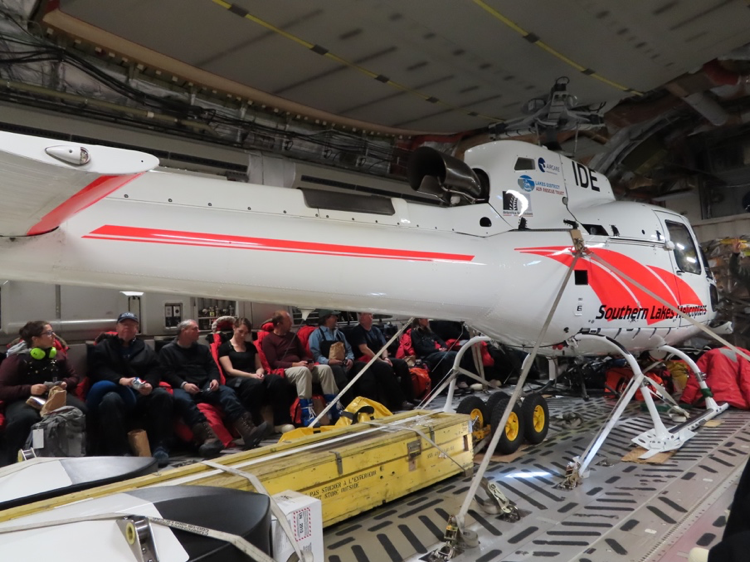 We shared the plane with a Kiwi helicopter being transported to New Zealand’s Scott Base, located 1.5 miles from McMurdo Station. We landed in Antarctica on the compacted snow runway at Phoenix Airfield around 11:30 p.m., then rode for about an hour to McMurdo Station. At McMurdo we received our dorm room keys and found out we had to be at a science in-brief at 7:30 in the morning. Exhausted, we finally crawled into bed around 2:00 a.m.
Each team is assigned an event number for identification. We’re G-055; the “G” means we’re part of the USAP Antarctic Earth Sciences program (but it probably used to stand for “Geology”). 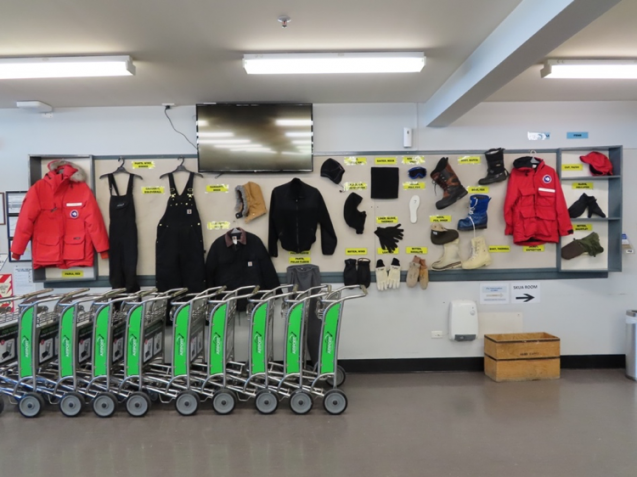 McMurdo has been a deluge of trainings, meetings, packing, and equipment testing for the G-055 crew. 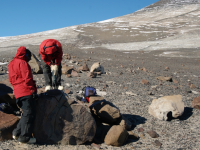 Because we’re establishing our own standalone camp without field safety personnel, we had to complete a relatively new Dry Valleys “shakedown” training during which we set up our tents, tested our camping gear, and spent the night near McMurdo. 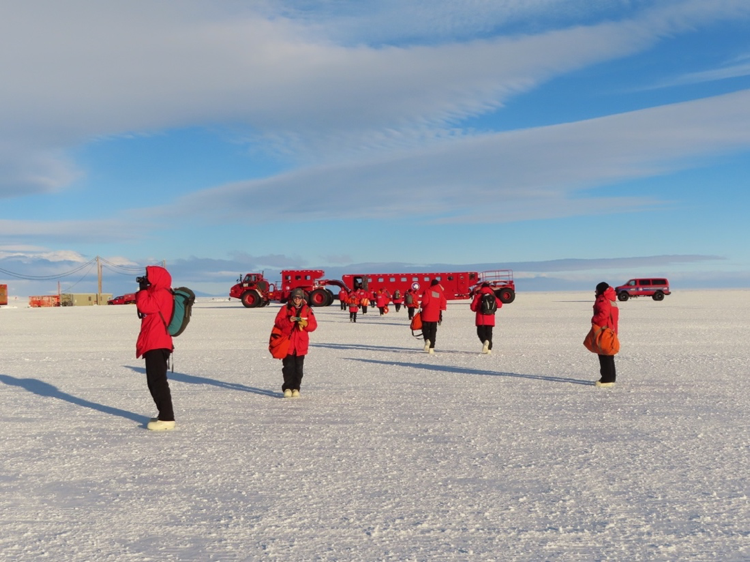 We’ve also had general Antarctic field safety training, harassment training (technically anti-harassment training), environmental training, light vehicle training to drive the pickup trucks around station, and helicopter sling rigging training. We’ve picked up and tested our communications equipment (Iridium satellite phones, VHF radios, and a HF radio), planned our field meals and packed our food, examined, packed, and weighed our camp gear, and tested all of our science equipment to make sure it survived the lengthy trip down to Antarctica. The nonstop schedule in addition to the jet lag and adrenaline means that we haven’t been sleeping very well, but the good news is that all of our science gear made it to Antarctica unscathed! Amongst the grind, we have been able to enjoy ourselves and take in some of the sights around the station. 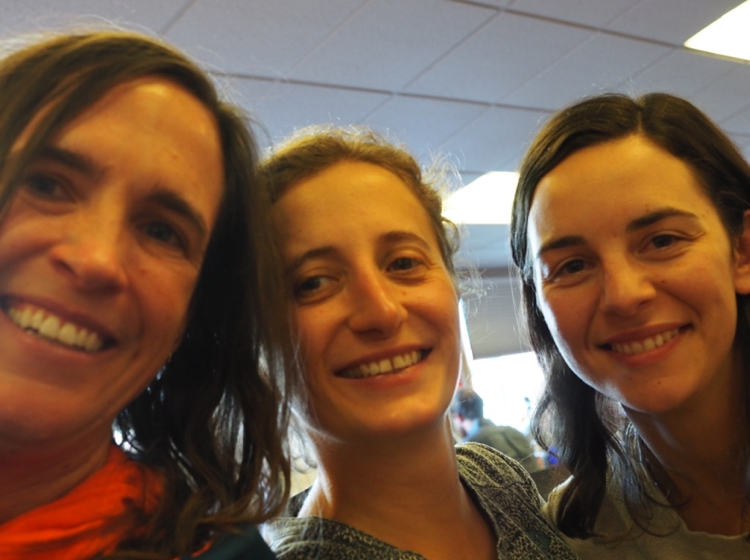 The work week at McMurdo is normally Monday-Saturday, but the station celebrated Thanksgiving with a 2-day holiday beginning the day after we arrived (Saturday, Nov. 24th). 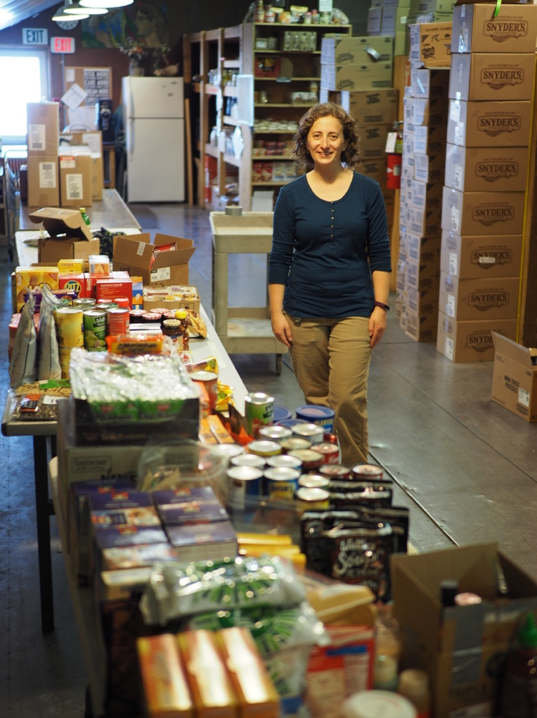 That night, McMurdo held its annual Thanksgiving holiday dinner—a wonderfully gluttonous way to kick off our field season. 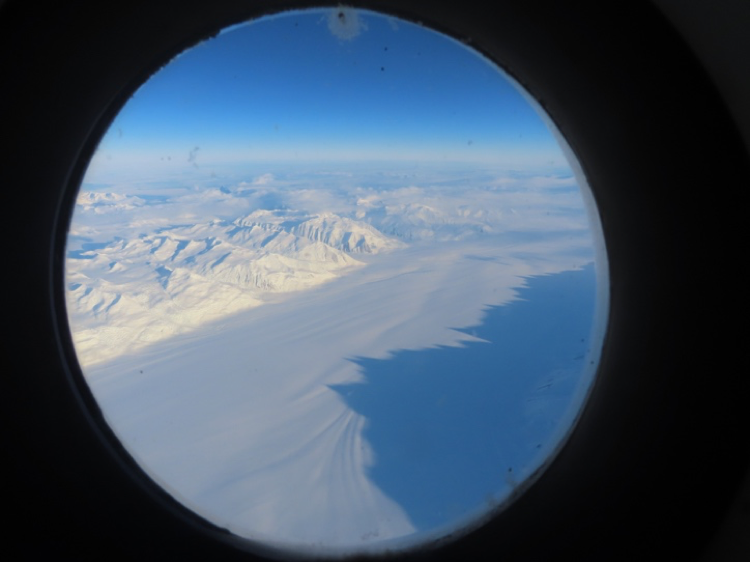 The three of us joined a tour of the sea ice pressure ridges near Scott Base where we were greeted by views of Mt. Erebus, the southernmost active volcano and one of only a few on Earth with a persistent lava lake, and sunbathing Weddell seals. We visited the Scott Base store to pick up souvenirs, and walked out to Hut Point where Robert Falcon Scott’s Discovery Hut still stands from the 1901-1904 British Discovery Expedition. 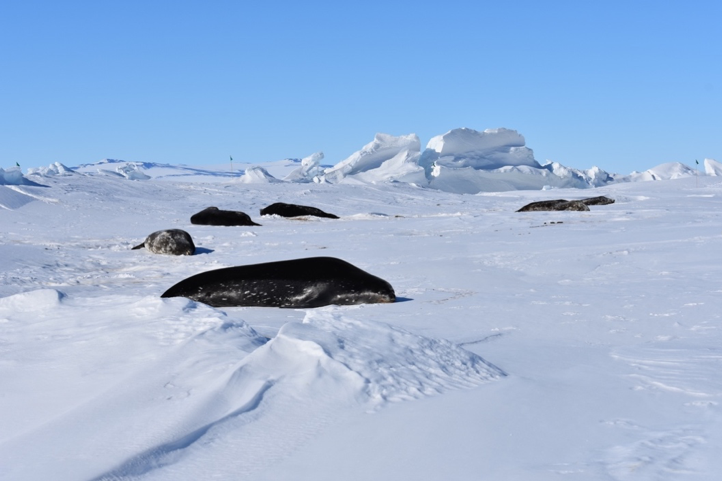 Missy and I also descended the Ob Tube, a narrow metal tube with a window that extends under the sea ice in front of McMurdo, where you can watch for passing sea life and listen to the (seriously out of this world) sounds of seal calls. We were originally hoping to depart for Beacon Valley on Nov. 30 but realized that with the Thanksgiving holiday and multitude of training sessions and meetings, we wouldn’t be finished with all of our McMurdo-based work in time. So, we’re now aiming for a Dec. 1 departure, which is incidentally also “Antarctica Day” and the 59th anniversary of the signing of the Antarctic Treaty. At the moment all of our gear is weighed, labelled, and staged at the helicopter pad. Altogether, we’ll have a camp put-in of about 3,600 pounds and will require at least 3 helicopters to deliver it all to the camp site. Tomorrow we have two flights scheduled to carry external slings (netting containing gear that hangs on a hook from the bottom of the helicopter) with all of our tents and heavy equipment, and a third one to carry us and internal cargo. We’ll all try to get a good night’s sleep now, as tomorrow is a big day! Thanks for the article written over two months ago. Have you spent all that time near the Dry Valleys? Maybe at one of the lakes there? I look forward to reading about your adventures. I was fortunate enough to have visited there one day in Jan 1974 while stationed at McMurdo with USARP. There were a few dried-out, carcasses of a few ancient seals high up in the Valleys that were fascinating. Cheers!